2. 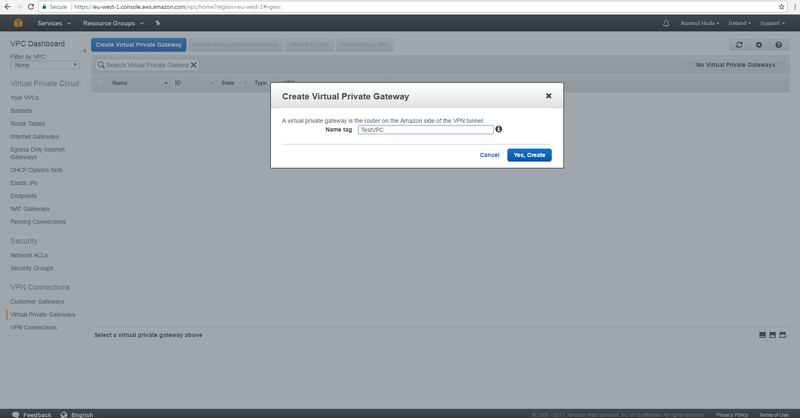 Virtial Private Gateways: This represent VPN endpoint of AWS site connection. 3. 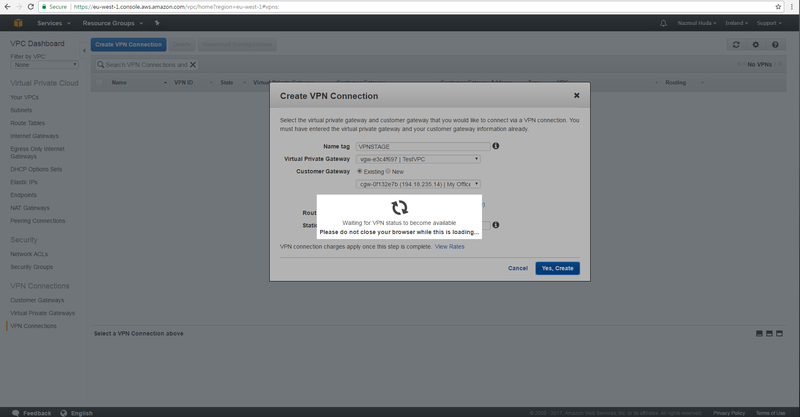 VPN Connection: This is based on the avobe two component which will provide downloadable configuration file that you can use to configure office firewall. To Create VPN first go to the VPC console by clicking VPC from AWS console. From the left hand side click the "Customer Gateways"
Provide the Name tag which you can use to identify your office site. Next choose the Routing type (Static/Dynamic) you intent to use. I have used here Static routing. 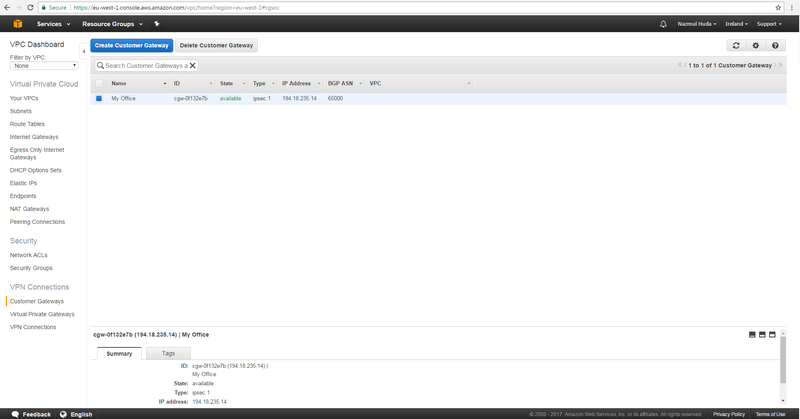 Finaly provide the public IP of your office on-premises firewall. 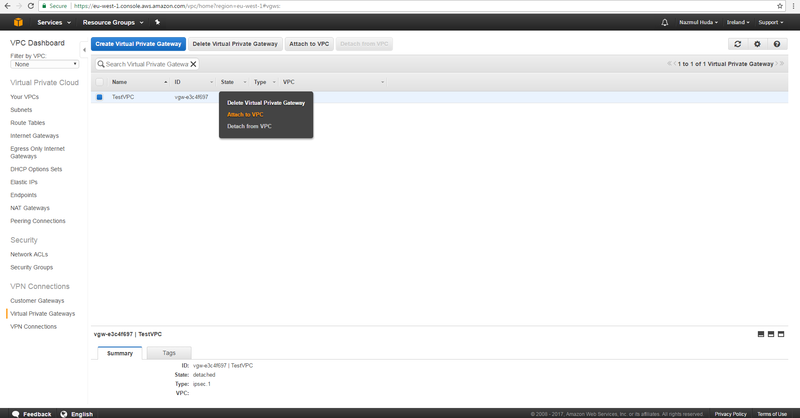 Now from the left hand side click "Virtual Private Gateways". 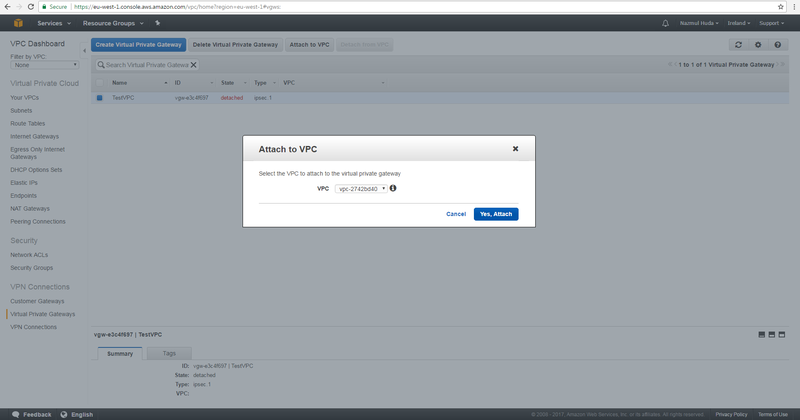 Now Right click on the Name and left click "Attach to VPC"
Select the appropriate VPC that you want to communucate. 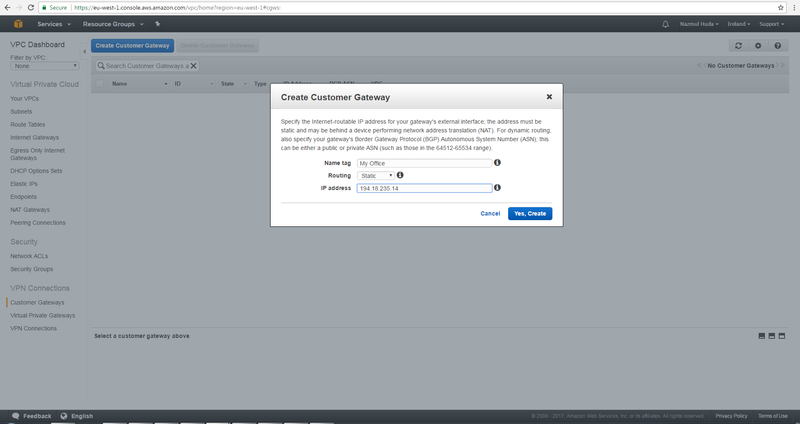 Here I have selected the VPC that I created in "Customer Gateways"
Now Click "VPN Connections" from left hand side. 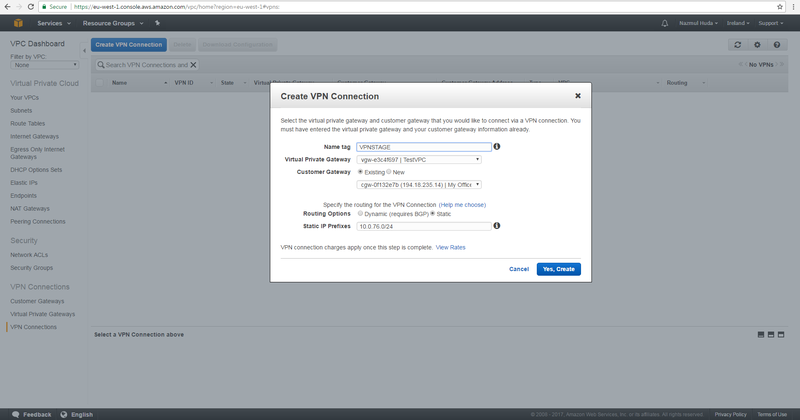 Click "Create VPN Connection". Provide a name that you can use for recognize later in Name tag. Select Virtual Private Gateway for Amazon side that we just created. 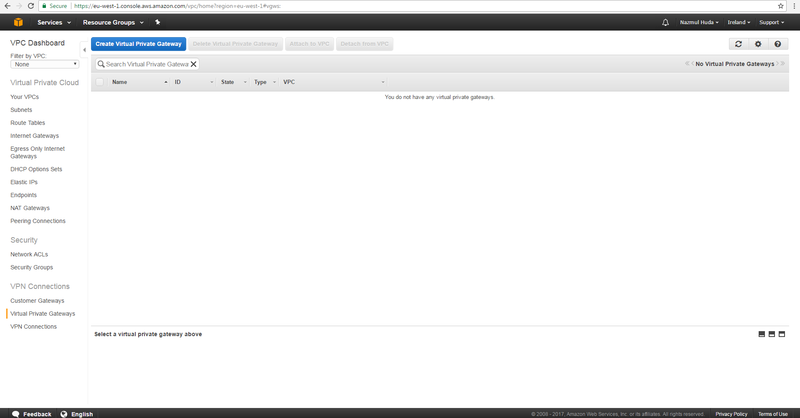 Select Customer Gateway for Office site that we just created. Coose the routing option that you are goint to use. In our case I have selected "Static". 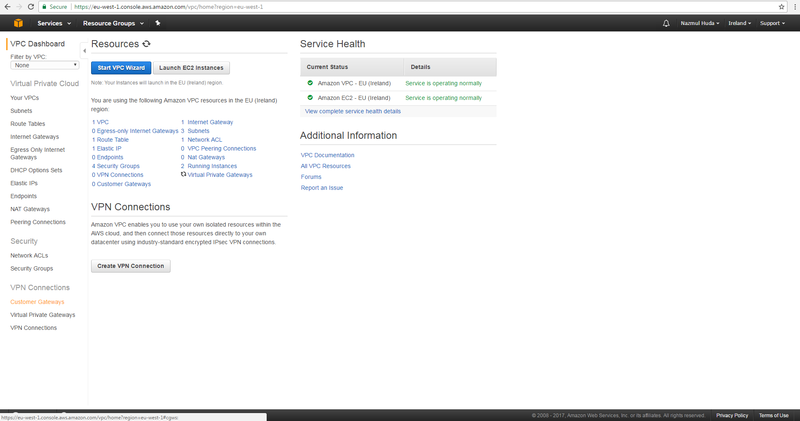 In Statit Prefix you can specify the private network behind your on-premises firewall, for example here I have used 10.0.76.0/24. Click "Yes,Create| button. It will take a while to create. After the Creation it will look like the following picture. 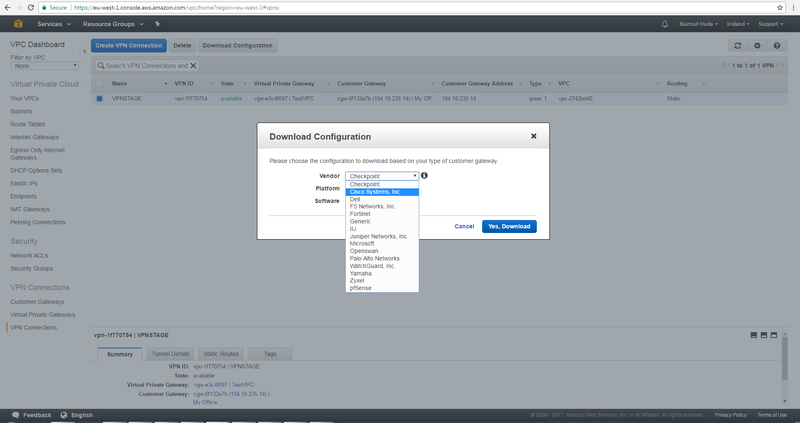 Now you can Download the configuration that you will need to perform in your office site. 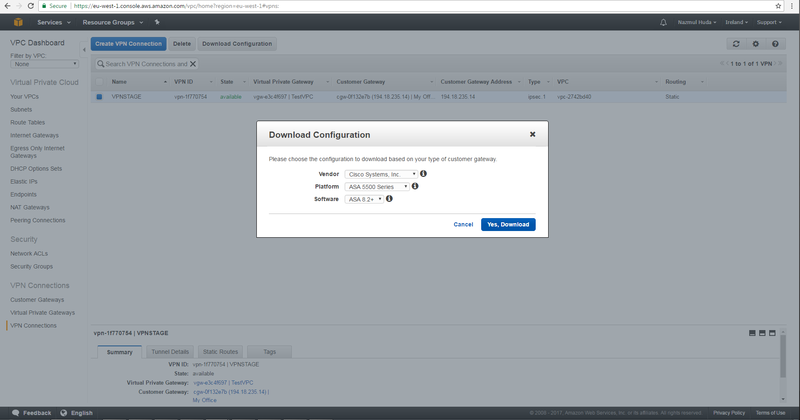 Click "Download Configuration". 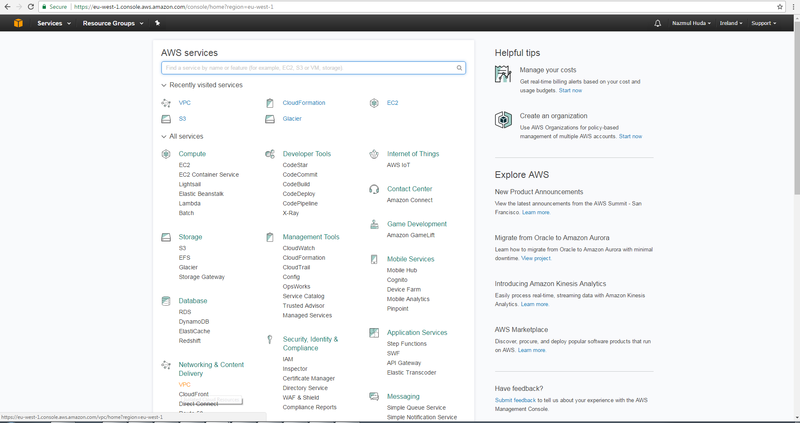 Select vendor, Platform and Software. Select vendor, Platform and Software that you have in your office site.